He was the first Bengali Muslim writer who started writing novels which became famous. His greatest work is Bishad Sindhu’ which narrates the story of Karbala and the death of Imam Hasan and Husayn. Syed Waliullah is a novel and short story writer. He is also known for his famous book ‘Lalsalu’. 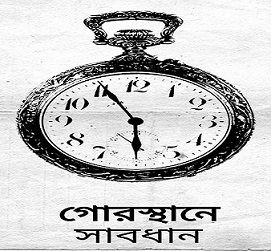 Professor Natboltu (প্রফেসর নাটবল্টু চক্র সংগ্রহ) is a series of science fiction stories written by Adrish Bardhan. Adrish Bardhan is a science fiction writer in Bengali literature. Al Mahmud is one of the greatest poets in the Bengali literature. He is also a novelist and short story writer. Megastheniser Bharat Bibaran (মেগাস্থেনীসের ভারত বিবরণ) is a history book written by historian Megasthenes and translated in Bengali by Rajani Kanta Guha (রজনীকান্ত গুহ). Bhuter Pallay Gopal Bhar (ভূতের পাল্লায় গোপাল ভাঁড়) is a funny story book of Gopal Bhar. Gopal Bhar is one of the funniest characters in Bengali literature. He is very intelligent and no one can beat him in any work. Ahsan Habib is a famous Bengali poet. He also wrote books and novels for children. Kasem Bin Abu Bakar (কাসেম বিন আবুবাকার) is a famous Bengali novel writer. He writes mainly based on Islamic culture. He is also known as the author of ‘Futonto Golap’ (ফুটন্ত গোলাপ ). Abdullah Al Muti is a pioneer in Bengali science writing. He writes difficult scientific thoughts and theories in an easy way. Children and teenagers with small scientific knowledge will be able to understand science by reading his books. In this book, eight different funny stories are collected. These stories are collected from all of the outstanding funny stories written in Bengali.